Cover Glass USA’s frameless sliding glass door systems are top hung providing consistent and optimized security and performance. 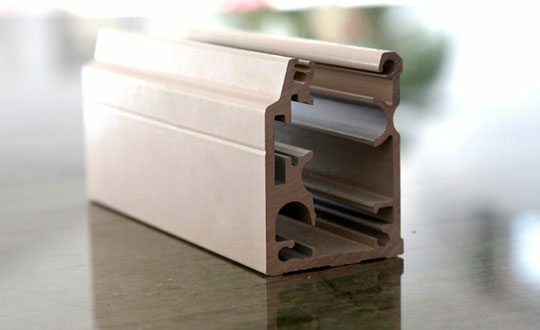 In this article we elaborate on why our top hung frameless sliding glass door panels are superior to the bottom rolling varieties. The specially designed top track supports the weight of the panels while the bottom track only guides the door taking no weight whatsoever. This allows the bottom track to be hidden and set flush against the existing floorscape. The type of track used in top-hung systems equates to a much smoother operation and can provide a range of curvilinear movement and curved panels. Our sliding glass door panels are unique in that the top-hung system eliminates the possibility impeded performance due to the trolley jumping the track. No more struggling to get the door realigned to the track. They are designed to provide easy access to different components for easy maintenance and cleaning. Our systems are mounted directly on to the ceiling, meaning that the rolling action of the system is not affected by unlevel floor conditions. The systems can be easily concealed in the ceiling, leaving no visible sign of the mounting hardware, and do not require a bottom track to be seen, allowing for the space to maintain a clear threshold. This gives the unseen added advantage of a beautifully clean aesthetic. The wheel assembly is located in the header, rather than the base, keeping the rollers and bearings clean of contaminants, such as dirt and debris providing consistently smooth operation. The panels in top hung sliding doors create less friction allowing heavy panels to be operated with very little effort and additionally also extends the life cycle of the wheel assemblies. Our specially engineered top hung frameless sliding glass doors cannot be pried or lifted out of alignment, protecting against forced entry and positive and negative wind pressures, creating a safe and secure system. 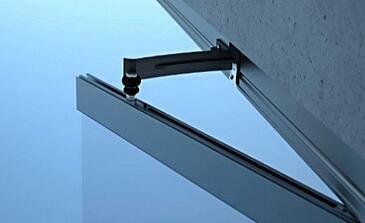 Learn more about our sliding glass door system technology. Rolling elements may jump the track reducing performance, security, and safety. Bottom rolling systems do require a visible track to be placed in the floor. Rolling movement is easily impaired by contaminated, blocked, or clogged floor tracks. Susceptible to uneven floor surfaces, which can cause the system to tilt, if not properly leveled, causing the system to be difficult to move and function. The weight of the door is concentrated on the two bottom wheels, requiring more force to move the door than a top hung system. 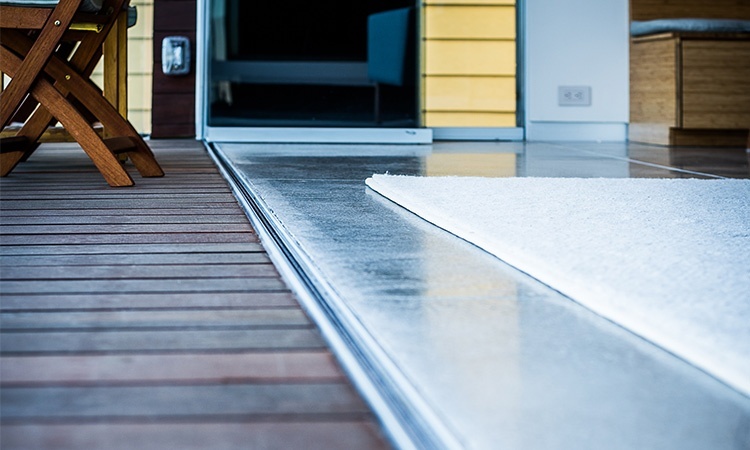 Bottom-rolling sliding glass doors are easily pried or lifted out of alignment, which does not protect against possible forced entry and does not protect against positive and negative wind pressures.